On the job or on the go, being prepared is always a good thing. Cargo pants are great for that, since they have plenty of space to store needed items in order for you to be prepared for just about anything. And now, thanks to Berne Apparel and their Adder System, y ... (see full details) (see specifications) #CCWP04PTY. On the job or on the go, being prepared is always a good thing. Cargo pants are great for that, since they have plenty of space to store needed items in order for you to be prepared for just about anything. And now, thanks to Berne Apparel and their Adder System, you can truly be prepared with these Berne Echo Zero Six Concealed Carry CCWP04 PTY Men’s Khaki Work Pants. With cargo pockets that hold more than your tools or cell phone, and a waistband designed to compensate for a holster as well, you can easily and safely store your legal weapons in easy to reach, quick access pockets so you can bring safety with you wherever you go. These lightweight 6.6-ounce men’s concealed carry pants are made from 72% cotton for comfort, 24% polyester for added strength, and 4% Spandex for the flex you need to get the job done. The wide belt loops can accommodate a number of belt choices and needs depending on what you’re heading out to do for the day. The main seams are all triple-needle stitched for added strength in these high wear areas. The crotch has an added gusset to ensure the space and comfort you need to be mobile. The pockets are reinforced with deep coin pockets, and the back hip pockets have secure hook-and-loop closures to keep debris out and your important items inside. Whether you’re heading to a job site for work or just running errands around town, these flexible Berne khaki pants are up for the challenge, whatever the task may be. And whatever it is you're doing at the time, you can do it knowing you’re protected from disaster. The Flex Fit waistband features a MOLLE Grid for accommodation of your holster if you choose. What appears to be two average cargo pockets on the thighs are actually tear away quick access pockets that securely store your weapon and your ammunition however you like. Simply tear away the top of the cargo pocket and your weapon is held at the ready with Velcro holsters. Grab and go in times of need without any fuss. These pockets also function as true cargo pockets when your weapons are not inside. Available in short (30”), regular (32”), and tall (34”) inseams, there’s a perfect fit for every guy who needs to be prepared for crisis. It’s one thing to have your weapon with you - it’s another to have it on you and ready to use when you need it. Thanks to the Adder System and Berne Apparel, you can be ready at any moment without flaunting it around. Concealed, secure, and convenient, if you have a CC permit, then you need these Berne Echo Zero Six Concealed Carry CCWP04 PTY Men’s Khaki Work Pants from Working Person's Store. 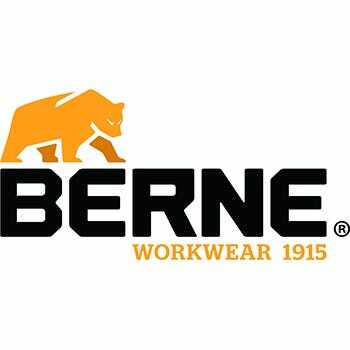 Order your pair from us today to safely carry your weapon in a comfortable, dependable Berne workwear design. I have some pretty thick legs and usually have to get a giant waist so the legs fit. These pants have plenty of room in the legs and seat. They are very comfortable and have become my favorites. The pockets designed to carry a pistol provide good support and room for most weapons but might look a bit large. When it is warm outside the areas around the pockets get warm but I don't think you can do much about that. Overall, I don't think they could be any better for their purpose. They are made better than most. They have plenty of movement room in the croch. The material is pretty thick and I believe they will last pretty good. I wouldn't mind having more. Never owned any thing made by this company if there other products are made like these I would start sticking with this brand. Berne Pants: Concealed Carry CCWP04 PTY Men's Khaki Echo Zero Six Work Pants is being added to your cart.